A urinary tract infection (UTI) is a bacterial infection of the Urinary system. This condition is more prevalent among women than men. The urinary system comprises the kidneys, ureters, bladder and urethra. UTI can occur in any of these organs but is mose prevalent in the lower urinary tract where the bladder and the urethra resides. This type of UTI is known as cystitis or a bladder infection. When UTI is present in the the upper urinary tract it is known as pyelonephritis or a kidney infection. Symptoms from an infection on the lower urinary tract includes painful urination and either frequent urination or urge to urinate (or both). Pyelonephritis symptoms include fever and flank pain in addition to the symptoms of a lower UTI. The bacteria, Escherichia coli, is generally the cause for both types of UTI. Urinary tract infections (UTIs) are common bacterial infections and adult women are particularly susceptible. 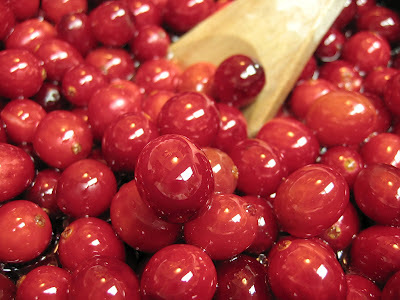 Cranberry-containing products have long been used as a "folk remedy" to prevent the condition, according to the study background. "Cranberry-containing products tend to be more effective in women with recurrent UTIs, female populations, children, cranberry juice drinkers, and people using cranberry-containing products more than twice daily," the authors note. "In conclusion, the results of the present meta-analysis support that consumption of cranberry-containing products may protect against UTIs in certain populations. However, because of the substantial heterogeneity across trials, this conclusion should be interpreted with great caution," the authors conclude.